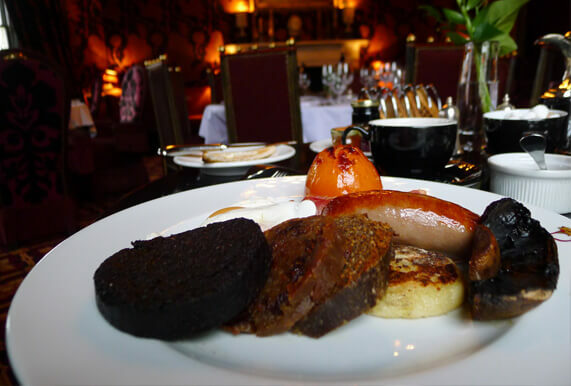 Start the day in style with Prestonfield's renowned breakfast - there's no reason not to, it's included in your rate! Prestonfield’s delicious traditional breakfast menu is served daily in the splendid surroundings of Rhubarb. Enjoy traditional specialties such as Finnan Haddie, kippers, some of the best pork sausages you’ll ever taste and sublime Eggs Benedict. You’ll find the juices are freshly squeezed – by us, and delicious baked goods are made in-house by our pastry chefs too.